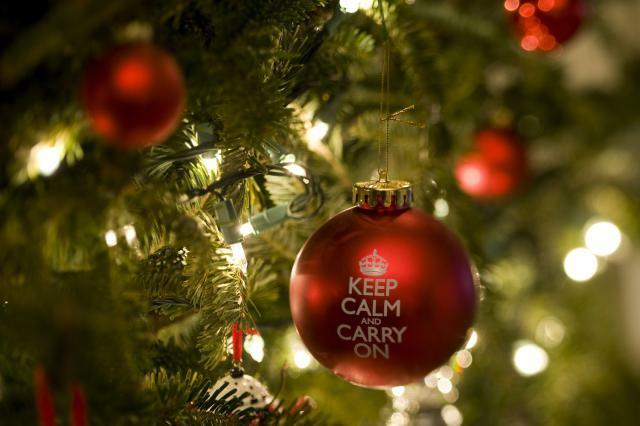 Christmas can be fun time, and for many it can be a stressful time. Bringing family together, and extended family, and with the addition of new partners: is a dynamic to be wary of at the best of times—let alone a day where a lot of planning, cooking, and money has been invested. For those who have small families or dysfunctional families and are dreading Christmas because they already feel isolated and lonely in life, those feelings can magnify during these times of cheer. Accept that all of your good intentions/efforts/expectations won’t be met. While Christmas is marketed as the happiest time, no one is happy all the time—particularly over the course of a three-hour lunch, or over a couple of days. Support yourself by aligning yourself to people you are comfortable with and can enjoy speaking with. This might mean stepping out of the room to make a phone call to a friend to vent and get your equilibrium back. Start the day with some exercise. Getting your body to produce endorphins—the mood-elevating chemicals—can get your mindset and energy into a positive place before seeing your family. Watch how much alcohol you have. While a few drinks may make you feel temporarily euphoric, alcohol is a depressant and can make you feel more emboldened to share your thoughts and feelings, which isn’t always necessarily received in the way you want. When you greet your family, tell them you’re excited to <insert feeling>. This might be “enjoy relax with them”, or “to talk about all the happy times” (always frame to the positive, rather than a negative statement like “not to have any drama”). This will set the tone and also your expectations for the day/meal. Know when and how to touch family members/guests. When you touch someone during a conversation, you release oxytocin in their brain, a neurotransmitter that makes their brain associate you with trust and a range of other positive feelings. A simple touch on the shoulder, a hug, or a friendly handshake is all it takes to release oxytocin. Of course, you need to use your judgement—if you do it too much or with someone who doesn’t like to be touched it will have the opposite effect. Say thank you. And attitude of gratitude is infectious and hard to fault. There are many more strategies you can employ, and every family is different. Sometimes just talking it out with an objective person can help; they often offer insight that you can’t see (we often can’t see the forest for the trees). Ubuntu Medical is closed between 22 December and 30 January 2017 for renovations and practice expansion. I will be working over 3-25 January 2017 from the Grange Practice, (3 Days Road, Grange). To book, go online or call (07) 3857 3777. Best of luck for the ‘silly season’.